It’s three months before prom and Leah’s squad is in shambles. Leah has the greatest friends in the universe…so why hasn’t she come out as bi to anyone yet? Especially Simon, her BFF, came out to her to her last year before anyone else in the squad. Maybe it’s because she is starting get to feelings, REAL feelings, for someone in her group circle and that someone is dating her friend. Throw in the spring musical, college acceptances (and rejections), and senior prom, and Leah may just completely lose it. 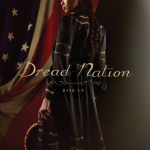 This book is the ultimate #squadgoals read. 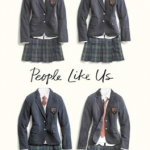 Full of a diverse cast of characters, genuine high school drama, and sexual awakenings. 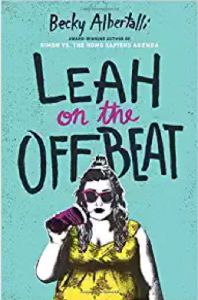 The plus side to this book is that you do not have to read any of Albertalli’s other novels to jump into Leah. She stands just as high on her own. This story gives the spotlight to the angsty teen sidekick, and boy does she shine. Pair with Ramona Blue by Julie Murphy and Tash Hearts Tolstoy by Kathryn Ormsbee. 1988 was the year the sirens came, and Charlie’s dad was gone from the Earth forever. Charlie Bell never liked basketball much…until that special summer at Grandpa Percy’s. Grandpa nicknames him “Chuck”, and basketball becomes a release for him as he struggles through the grief of losing his father and finds his way out of making some bad choices, like cutting school. The cover is an attention-grabbing vibrant orange with a silhouette of a basketball player taking a jump shot. Written in verse with plenty of white space and rhythmic text, Rebound also includes some graphic comic-style panels within. Both formats certainly invite reluctant readers. A prequel to The Crossover, this volume can appeal both as a stand-alone book or be appreciated even more for readers who may recognize some familiar names (since Chuck is the father of the characters from The Crossover). 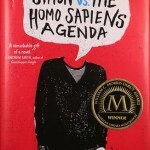 Alexander’s signature short chapters and use of humor will keep teens turning pages. The basketball training encourages tenacity and perseverance throughout the circumstances life brings. 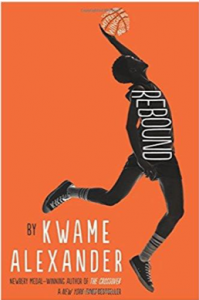 Rebound is the perfect metaphoric title for this prequel. Ideal readers for Rebound are middle grade and up. Read-alikes include The Crossover and Booked by Alexander, and the Track series: Ghost, Patina, and Sunny by Jason Reynolds. Mentions of popular characters such as the Black Panther, Fantastic Four, and timeless Jordan shoes will be common ground for many teens. On your 18th birthday, you get a wish that comes true. Nothing happens in Madison, a small desert town in Nevada. Well, nothing aside from that fact that everyone born in Madison gets a wish on their 18th birthday and this wish actually comes true. Eldon’s wish day is about to arrive and unlike his peers, has no idea what to wish for. 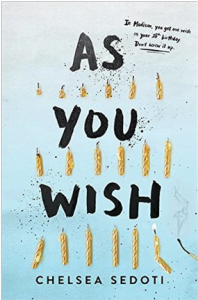 Fascinated with the town’s wish history, Eldon decides to uncover what people in the town wished for on their birthday and how it has affected their lives years, and even decades, later. Turns out that not all wishes come true in the way you would hope. 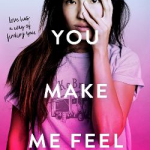 This story dips into magical realism but focuses on character development and tough topics like love, loss, friendship, family, and life after high school. Pair with The Serpent King by Jeff Zentner and Noggin by John Corey Whaley.